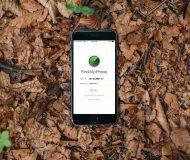 BannerBuddy is a recently released jailbreak tweak that lets iPhone 6 and 6 Plus users lower banner notifications with Reachability. Normally, banner notifications don’t move when Reachability is invoked, but with BannerBuddy, invoking Reachability pushes down any currently displaying banner as well. After installing BannerBuddy, head over to the stock Settings app to configure the tweak. 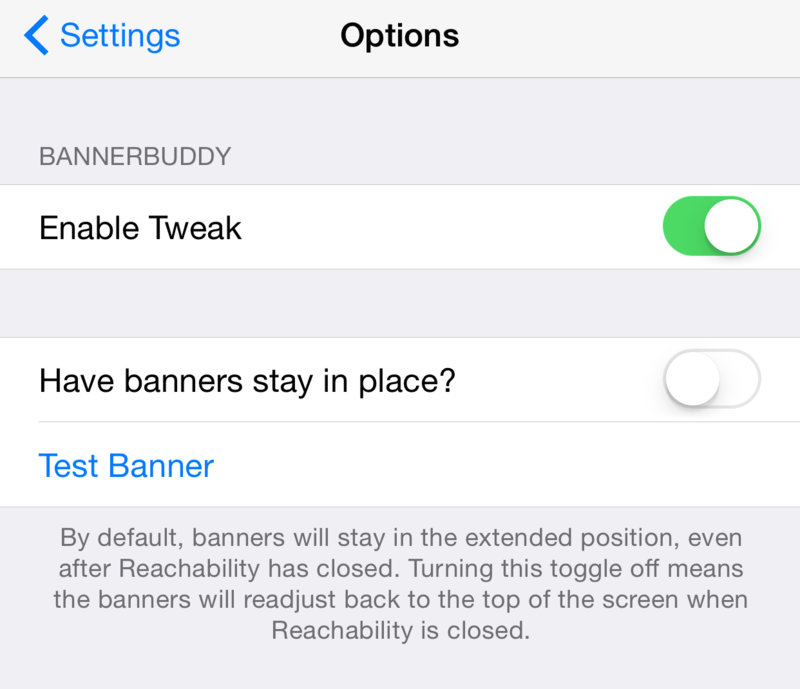 BannerBuddy does’t feature many options, in fact there are only two switches to be found in its preferences, but those two switches allow you to enable the tweak and make banner notifications stay in place. Thankfully, the developer of BannerBuddy was generous enough to include a test button for invoking a test banner notification via the tweak’s preferences. Due to this, you don’t have to send bogus test messages just to see how the tweak works in action. I really like when I see simple things like test buttons, as it can save users lots of time trying to figure out how a tweak works. Props to developer, @fewjative, for taking the time to implement this simple yet extremely handy option. Once you have BannerBuddy enabled, you’ll notice that incoming banner notifications are pulled down along with the rest of the interface when invoking Reachability. 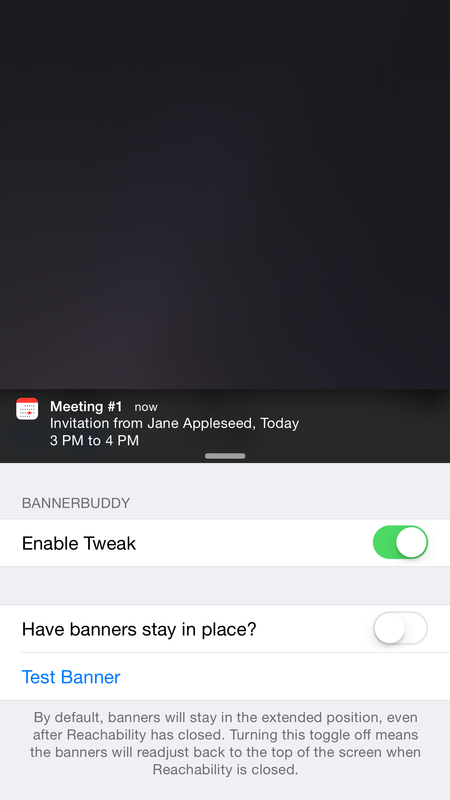 You can even interact with interactive banner notifications while in Reachability view. Once Reachability times out, the banner notifications will relocate back to their normal spot at the top of the screen. If you’d prefer that banners stay put, you can always enable the “Have banners stay in place” switch found in the tweak’s preferences. 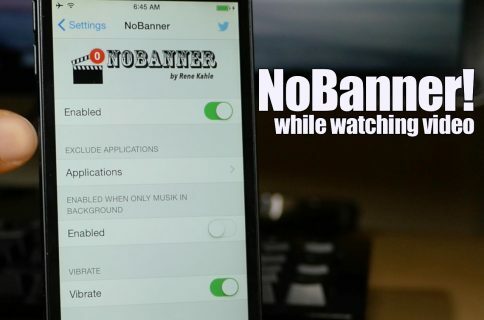 BannerBuddy is an interesting jailbreak tweak that’s free on the BigBoss repo. It’s not world changing, but it’s a good addition to the Cydia store, and it’s sure to find a decent following due to what it does. What do you think about BannerBuddy?